I have long argued that the interest-based, debt-money, central banking regime is both dysfunctional and destructive, and advocated for the decentralization of control over credit and the creation of exchange alternatives that use privately issued currencies and direct clearing of accounts among buyers and sellers. There is a considerable body of literature that makes the case for free money and free banking, most of which has been ignored. These ideas have been overwhelmed by the economic and financial orthodoxy which stands in support of the political status quo which centralizes power and concentrates wealth. For governments, central banks serve as “lenders of last resort,” enabling deficit spending through their purchase of government bonds and manipulation of interest rates, while for the banking cartel, government serves as “borrower of last resort,” sustaining their privilege of lending money into circulation and charging interest on it. Whenever this unsustainable system threatens to implode (as it did in the crisis of 2008), the government steps in to take bad (private) debts off the bankers’ hands and place them on the shoulders of the citizens (“bail-outs”). When the next bubble reaches its climax, we will likely see another round of “quantitative easing,” but when that proves to be inadequate, we will likely see some combination of inflation and outright asset confiscation known as “bail-ins” (partial seizure of bank balances). In his recent review, Leonidas Zelmanovitz, highlights the main points in Vera Smith’s book, The Rationale of Central Banking and the Free Banking Alternative, which was published in 1936. Paraphrasing Smith, Zelmanovitz concludes that [Keynsian policies are] “not necessary to solve the problems they are purported to solve; most likely, they are part of the cause of the problem. 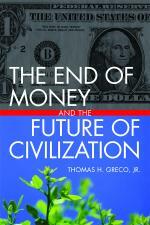 Furthermore, there is an alternative, and that alternative is free banking,.” and, ” You can have good money without central banking and central banking does not guarantee good money.” You can read the entire review on the EconLib website. Another classic source on free banking is Henry Meulen‘s, Free Banking (London: Macmillan, 1934). Free download available here. I will provide some excerpts from that source in a future post.